In 2018, Alisa Bierria was a University of California President’s Postdoctoral Fellow in the Department of Gender & Women’s Studies at the University of California, Berkeley. 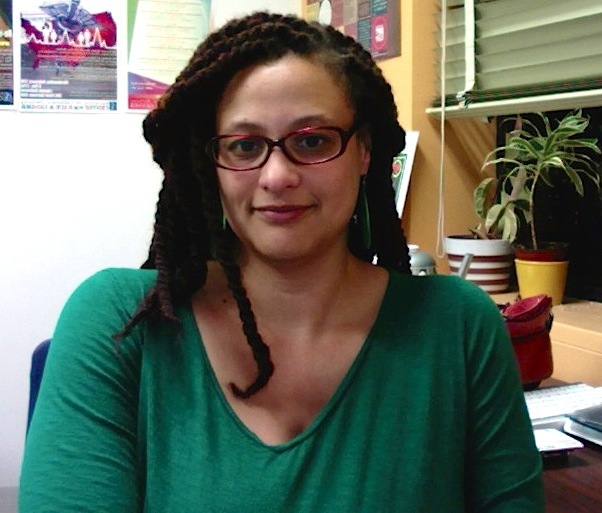 Previously, Alisa was the Associate Director of the Center for Race & Gender at UC Berkeley, where she founded the CRG-hosted Feminist Anti-Carceral Policy & Research Initiative. She received her PhD in Philosophy from Stanford University. She is also a member of a number of community based projects, including Survived and Punished, a national project that develops policy, legal advocacy strategies, and community education and organizing materials that challenge the criminalization of survivors of domestic and sexual violence. With a specific focus on black women’s agentic practices, Alisa’s dissertation, Missing in Action: Agency, Race, & Recognition, contends that philosophical accounts of intentional action must incorporate an analysis of sociality, relations of power, and recognition. She is a recipient of the Stanford University Diane J. Middlebrook Prize for Graduate Teaching, and has years of experience writing, teaching, and organizing on issues of gender violence and redress. Other research interests include feminist/queer carceral studies, black feminist and feminist of color theory, social ontology, and popular culture. Alisa is co-editor of Community Accountability: Emerging Movements to Transform Violence, a special issue of Social Justice: A Journal of Crime, Conflict, and World Order. Her writing can also be found in Hypatia: A Journal of Feminist Philosophy; Journal of Popular Music Studies; Left Turn Magazine; Shout Out: Women of Color Respond To Violence; What Lies Beneath: Katrina, Race, and the State of the Nation; The Revolution Will Not Be Funded: Beyond The Non-Profit Industrial Complex; Color of Violence: The INCITE! Anthology; Real Change Newspaper; The Feminist Wire; and Scholar & Feminist Online.